Japan is pretty darn good at cute, and this may in fact be the cutest cat on the planet. Maru is so adorable and so popular in fact that he has his own book, DVDs, and one of the most popular Youtube Channels in Japan. And now he’s 4! Happy Birthday Maru! Even though my own lovable furball, our sweet little doofus named Carwash the Carpet Shark, is with family back in the States, watching Maru both makes it a little better and at the same time makes me really miss having a kitty! 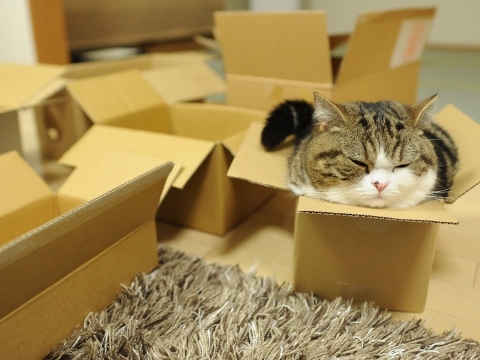 Do you love Maru as much as I do? Do you prefer cats or dogs? Your mission, should you choose to accept it, is to find a cuter animal than this on the internets and bring back evidence (photographic or video) to the comments below! Oh, and in totally unrelated news, check out our fancy new domain name! This entry was posted in Japan, Video and tagged adorable, cat, cute, kitty, maru. Bookmark the permalink. 4 Responses to Happy Birthday, Maru! Thanks for sharing a cute Maru! Happy Birthday Maru! Glad you liked it 😀 I love Maru!